While most drivers are aware that vehicle accidents can result in broken and fractured bones, cuts, bruises, and whiplash, they may not be familiar with compartment syndrome. This condition typically develops after a collision that causes a crushed or fractured arm or leg. Unless the injury victim receives prompt medical treatment, he may be left with permanent nerve damage and loss of muscle function. Compartments are groupings of the nerves, muscles, and blood vessels found in the arms and legs. These groupings are covered by a tough membrane, or fascia, that cannot easily stretch or expand. When a limb is damaged, the inability of the fascia to stretch puts pressure on the capillaries, nerves, and muscles in the compartment, disrupting blood flow. This deprives the nerves and muscles of vital oxygen and nutrients, leading to severe muscle and nerve damage. 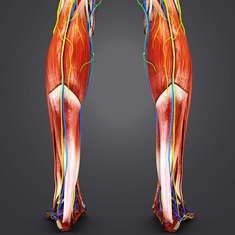 The American Academy of Orthopaedic Surgeons reports that damage to the front of the lower leg is the most common cause of compartment syndrome. However, compartment syndrome may also occur in the arms, hands, feet, and buttocks when they're crushed or fractured in a vehicle accident. Vehicle accident victims living with compartment syndrome are likely to experience severe pain, weakness, numbness, paralysis, tight muscles, and sensations of tingling or burning. Numbness and paralysis often indicate permanent tissue damage. Treatment for compartment syndrome typically involves surgery, known as a fasciotomy. The surgeon makes an incision in the skin and fascia covering the compartment to lessen swelling and allow recovery to begin. Tragically, the most severe cases may result in amputation. If you’ve experienced compartment syndrome due to a vehicle accident, you’re entitled to collect damages for your medical bills, loss of wages, and pain and suffering. You need an experienced personal injury attorney to help you receive the compensation you deserve. To discuss your claim, contact the law offices of Steve M. Lee, P.C., by using the form on this page.